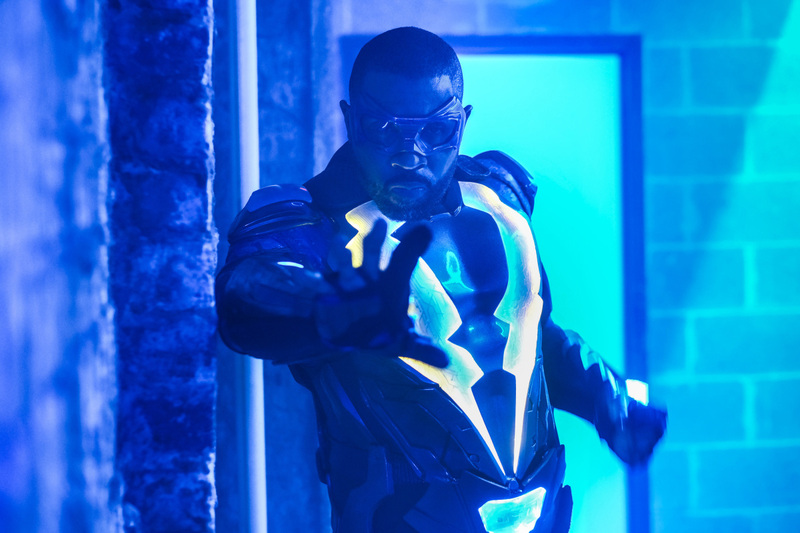 Preview clip and trailer for Black Lightning Episode 7 "Equinox: The Book of Fate"
The CW has released a preview clip for tonight’s new episode of Black Lightning which will air March 6 after The Flash. This is a very shocking episode – pun intended – and the clip features the reveal that Gambi is making a suit for Anissa. Thunder is on the way! Additionally, in case you’re curious, we’ve embedded the trailer. Come talk about Black Lightning on our discussion forum for the series! THE NEW NORMAL – Black Lightning’s (Cress Williams) pursuit for Tobias (Marvin Jones III) continues. Anissa (Nafessa Williams) continues to find herself in the new normal. China Anne McClain, Christine Adams, Damon Gupton and James Remar also star. The episode was written by Lamont Magee and directed Billy Woodruff (#107). Original airdate 3/6/2018.